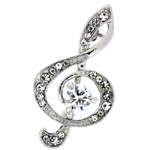 Treble clef and music notes brooch encrusted with clear crystals on a silver frame and fastens with a flag pin and revolver clasp. 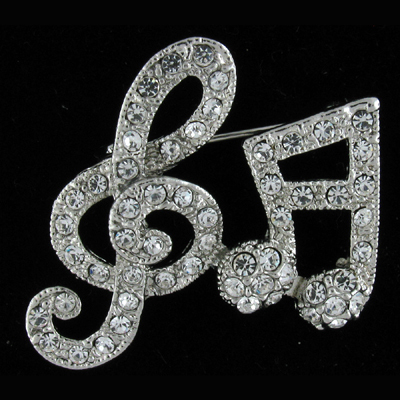 Size: 3.5 x 3.5 cms. 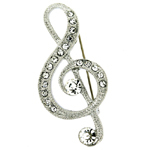 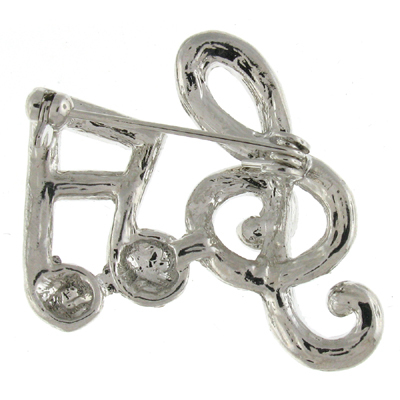 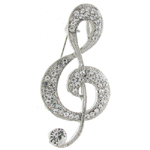 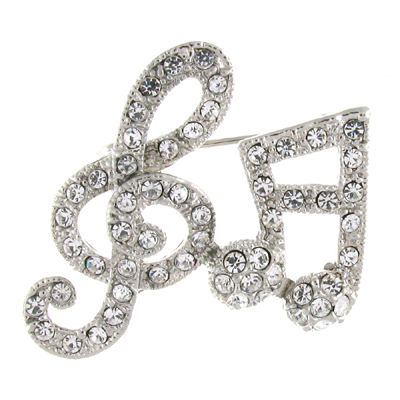 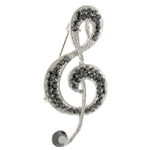 This beautiful brooch will be great for lyricist or musician.